vidhya sagar education & charitable trust established 2nd july 2010 under the rules of Under public trust Act. Mr. Satishgiri Aparnathi was appointed as a president of the trust. 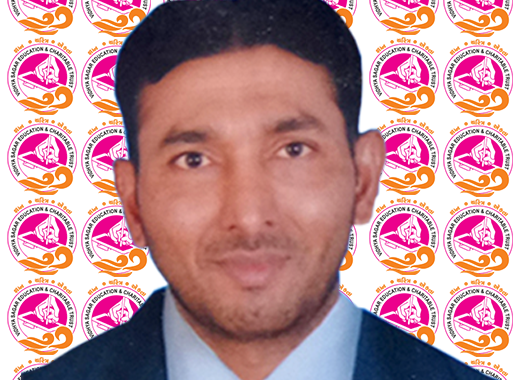 he is born 9th of january 1979 at porbandar, he is diplomaist in machanichal department having a gud grip on gujarati & english language. And also have Master Of Bussiness Aplication, he manage vidhya sagar classes in different four location since 22 years. he has powerfull strength of commitment. he bilieve in perfect working system. His Motto is "SUCCESS IS JOURNEY NOT A DESTINATION". The purpose of education imparted in our Institute is not merely to prepare the students for examination but for life itself. As we understand, education is not an end in itself, but rather a means to help a person to think and make decisions about ultimate values, one’s relationship with Them Self, one’s personal goal and one’s commitment to others. Irrespective of one’s cast, creed and code, everyone is given equal opportunity to be a beneficiary of this institute. Academic excellence, all round development, fostering of ethical and religious values and developing a sense of social responsibility are some of the characteristics of education imparted in V.E.S.C.T. Centre.